If you use the Windows operating system on your computer, you have some version of Windows Media Player installed on it. In today’s world, many people install other types of software that will play music and videos, but there are still a lot of people who stick with the old-school WMP for their needs. In the current version of WMP, it can play many different types of audio formats. However, if you have an older version, you might need to know about Windows Media Player file types in order to get your audio to play. 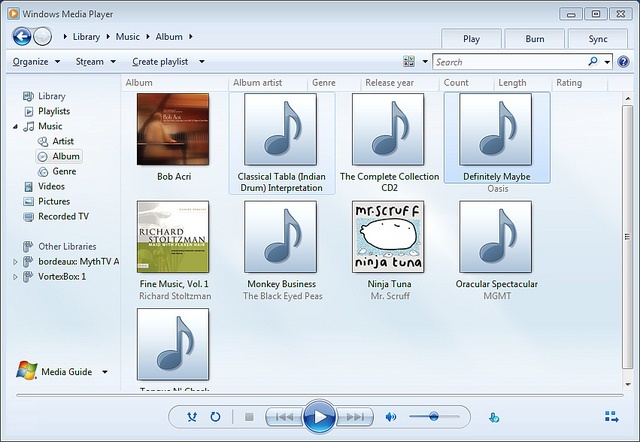 Since the Windows Media Player comes from the Microsoft library of products, the files it produces are generally accepted in other types of software and tools. Audio files are typically created with the WMA file extension and video files use the WMV extension. If you create an audio file in WMP and want to use it on other types of devices, in nearly all cases you will be able to do this without any problem. After all, other types of software and music systems would be crazy to not accept files created in something by Microsoft. That would be severely limiting the functionality of their device. In the off chance that you run into this problem, you can simply use on online audio file converter to convert the Windows Media Player file types into the type of format that is needed. You will need to check with the service you are using to determine what types of file formats they accept. However, if you are trying to add music from other places into Windows Media Player, there are a few more restrictions. Part of this is due to the fact that Windows simply can’t handle every single type of audio file that is available. Since every product or service gets to make their own choice about what type of file format they will use when they create audio files, it isn’t possible for WMP to have the capability to handle every possible option. However, they do have the ability to handle most of the major types of audio files that are created, but there is a caveat. The list of Windows Media Player file types that can be handled depends upon which version of WMP you are using. 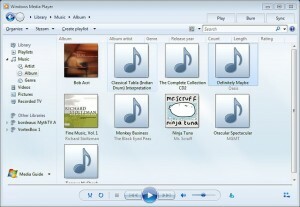 The most recent version of Windows Media Player is WMP 12. The list of Windows Media Player file types that can be handed in 12 include the the following file extensions: MOV, M4A, MP4, M4V, MP4V, 3G2, 3GP2, 3PG, 3GPP, AAC, ADT, ADTS and M2TS. However, since these are recent players in the world of audio and video, older versions of Windows Media Player do NOT have the ability to handle those types of files. If you try to open a file in WMP and get an error related to the file type, it means that type of file extension is not supported. However, this doesn’t mean that you will not be able to play the music you want to listen to. It just means you will need to convert it. Use a good online audio file converter and you can easily convert the file to a Windows Media Player file type that can be opened.